Dr. Mary Story is Professor of Global Health and Community and Family Medicine, and Associate Director of Education and Training, Duke Global Health Institute at Duke University. She started this position in January 2014. Prior to that she was Senior Associate Dean for Academic and Student Affairs and Professor in the Division of Epidemiology and Community Health in the School of Public Health at the University of Minnesota, where she was also Adjunct Professor in the Department of Pediatrics, School of Medicine. She is Director of the national program office for the Robert Wood Johnson Foundation Healthy Eating Research program that supports research on environmental and policy strategies to promote healthy eating among children to prevent childhood obesity. Dr. Story’s PhD is in nutrition science and her interests are in the area of child and adolescent nutrition, and childhood obesity prevention. Dr. Story has conducted numerous school and community-based obesity prevention studies and has been Principal Investigator on several NIH grants. She has 450 scientific publications on child/adolescent nutrition and obesity prevention. Dr. Story was elected to the Institute of Medicine in 2010. She has been a member of several IOM Committees including Food Marketing and the Diets of Children and Youth; Nutrition Standards for Foods in Schools; Childhood Obesity Prevention Actions for Local Governments; Examination of Front-of-Package Nutrition Rating Systems and Symbols; and the Standing Committee for Childhood Obesity Prevention. She currently serves on the IOM Food and Nutrition Board. She is also a member of the DHHS/USDA 2015 Dietary Guidelines Advisory Committee. She has received numerous awards for her research and work in the field of child and adolescent nutrition. 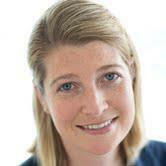 Megan Lott serves as Deputy Director for the Healthy Eating Research program and is based at the Duke Global Health Institute at Duke University. In this role, Megan manages day-to-day program operations, oversees coordination of scientific and administrative processes related to HER-funded research, engages in policy and advocacy collaborations with key partners, and identifies research priorities to advance program goals. Prior to coming to Duke, Megan was at The Pew Charitable Trusts in Washington, D.C. 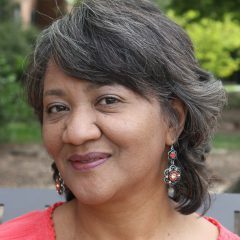 While there, she served as a Senior Associate on the Kids’ Safe and Healthful Foods Project, a collaboration between The Pew Charitable Trusts and the Robert Wood Johnson Foundation, which provides nonpartisan analysis and evidence-based recommendations on federal and state policies that affect the safety and healthfulness of school foods. In this role, Megan supported research, policy, and advocacy efforts aimed at improving the school nutrition environment, including managing the first ever Health Impact Assessment to be conducted on a federal rule making process. Other prior experience includes serving as the Associate Policy Director for the Community Food Security Coalition and the National Farm to School Network, where Megan managed federal and state policy initiatives, including advocating for passage of the 2010 Healthy, Hunger-Free Kids Act. Megan is a Registered Dietitian with a BS in Nutrition Sciences and Dietetics from the University of Cincinnati and a Master’s in Public Health from the University of North Carolina at Chapel Hill. 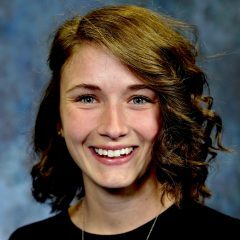 Lauren Dawson serves as Communications and Program Associate for the Healthy Eating Research program and is based in the Division of Epidemiology and Community Health at the University of Minnesota School of Public Health. Her main responsibilities at Healthy Eating Research involve providing communications, technological, and administrative support to the program. Prior to joining Healthy Eating Research, Lauren worked at the Minneapolis Health Department (MHD) with their school-based clinics program through the Centers for Disease Control and Prevention’s Public Health Associate Program. Lauren holds a Master of Public Health from the University of Minnesota, and a Bachelor of Science in Social Policy from Northwestern University. 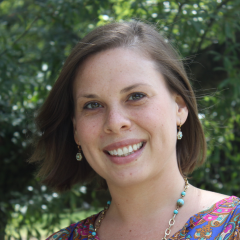 Erin Escobar serves as the Senior Research Manager for the Health Eating Research program and is based at the Duke Global Health Institute at Duke University. In this role, she coordinates scientific, administrative, and financial processes, including the grant application process, and provides ongoing technical assistance to grantees. Erin was previously a Research Manager at Duke University’s Innovations in Healthcare, a non-profit, network organization working directly with over 70 social enterprises. She led research in innovative models of care, including the development of evaluation metrics. While at Innovations in Healthcare, she directed a partnership with the Pfizer Foundation’s Global Health Innovation Grants Program, a social impact portfolio funding entrepreneurs working in primary care service delivery, maternal and child health, and healthcare technologies for low resource settings. In previous roles, Erin provided research and administration support for the Director of the Duke Global Health Institute, as well as for multiple initiatives at the UCSF Global Health Group. She holds a Master of Public Health degree from the University of North Carolina at Chapel Hill. Vivien Needham serves as the Program Assistant for the Healthy Eating Research program and is based at the Duke Global Health Institute at Duke University. In this role, Vivien provides administrative and operational support to the program. Vivien joined the Duke Global Health Institute in September 2012 as a staff assistant to senior staff and faculty. She brings a wealth of administrative support experience in education, real estate, and non-profit industries. She is a native of Cape Town, South Africa and has lived in the U.S. since 2001. Vivien has a passion for community outreach and regularly prepares and distributes food and clothing to the homeless and destitute in Durham and surrounding areas. 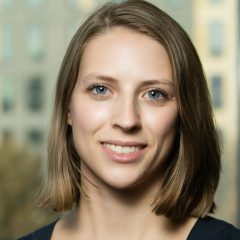 Emily Welker serves as Senior Research Associate for the Healthy Eating Research program and is based at the Duke Global Health Institute at Duke University. In this role, Emily’s main responsibilities involve managing Healthy Eating Research’s commissioned research projects and providing technical assistance to Healthy Eating Research grantees. She also serves as liaison to the Healthy Food Retail and Early Childhood working groups. Emily is a Registered Dietitian with a BA in Biology and an MPH from the University of North Carolina at Chapel Hill. Prior related experience includes a practicum at the Food Research and Action Center in Washington, D.C., where her work was focused on the Child and Adult Care Food Program.